KANSAS CITY, Sept. 8, 2011 – Kansas City private equity firm Great Range Capital (GRC) announced today that it has acquired LLL Transport out of Brookfield, MO, a specialty transportation company employing more than 130 people across the Midwest. Founded by Ryan Sprott and Paul Maxwell, GRC primarily targets controlling equity investments in Midwestern companies with revenues of $10 to $150 million. 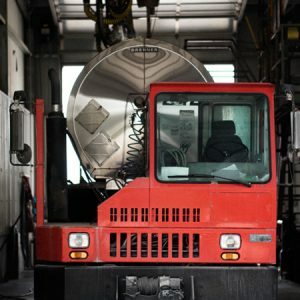 In completing the transaction, GRC worked closely with three operating executives with extensive experience in transportation, logistics, and biofuels. These industry veterans are assuming executive operating positions at LLL Transport following the transaction. GRC is backed in part by the Brandmeyer family, who acquired, managed, and ultimately sold Enturia (formerly known as Medi-Flex Inc.). The Brandmeyers have committed more than $25 million to GRC and its first fund. The founders of Great Range Capital have over 25 years of experience with firms including: DLJ Merchant Banking Partners, Credit Suisse, Monitor Clipper Partners, Fenway Partners and Salomon Smith Barney. Both University of Kansas graduates, Sprott and Maxwell returned to the Midwest from the east coast to start GRC. The firm is supported by an impressive Advisory Board along with a Vice President and an Associate who were recruited to GRC from firms in Atlanta and Chicago, respectively. Based in Kansas City, Great Range Capital is focused on middle-market, control, private equity investing in the Midwest. Transaction structures include leveraged and management buyouts, recapitalizations, build-ups, growth financings, and structured equity. GRC primarily targets companies in the industries of business and industrial services; healthcare services/devices; retail and consumer; established media; and niche manufacturing. With committed capital and a team of experienced investment professionals, GRC is well-positioned to capitalize on private equity opportunities in the Midwest.